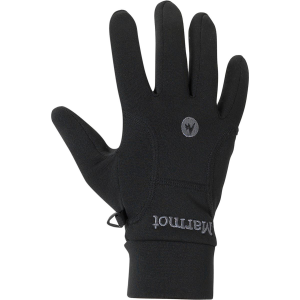 Visit Marmot's Men's	Power Stretch Glove page. 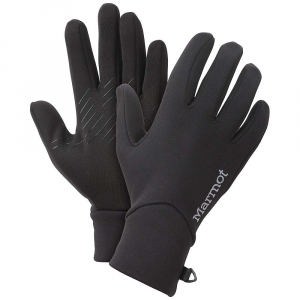 Marmot Men's Accessories Power Stretch Gloves - Men's-Black M 15580001M. Slip on the Marmot Men's Power Stretch Glove for running or cross-country skiing, or layer a waterproof shell over it for snowy ski sessions. The Polartec Power Stretch fabric provides four-way stretch and breathes; the outer layer resists wind and the inner layer feels smooth and pulls moisture away from your hand quickly. 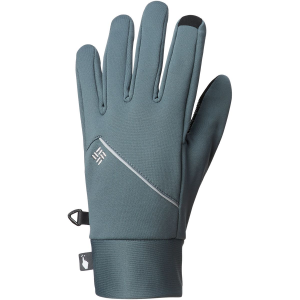 Marmot equipped the glove with Grip Zone fingertips for extra dexterity and a reinforced palm for durability. Treat yourself to a workhorse among glove liners with Marmot's Polartec Power Stretch Glove that's ready to serve any purpose, from lightweight protection during your chilly morning run to back up for your waterproof shell gloves when you're on the slopes. Your fingers move easily in the Free Flow Stretch fit while 3-dimensional wicking keeps your palms dry, not clammy.